This soup is so yummy. 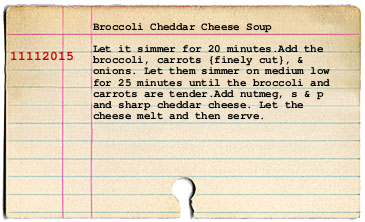 I chopped the broccoli and carrots very fine to make it smoother, but if you like a chunkier soup, you can roughly chop the veggies. Please come back tomorrow, I will be revealing my One Room Challenge space! 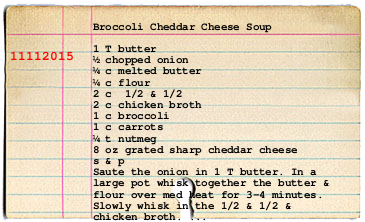 looks like yummy recipe but i'm a little confused on the directions. onions first AND onions when you add the broccoli and carrots? help?